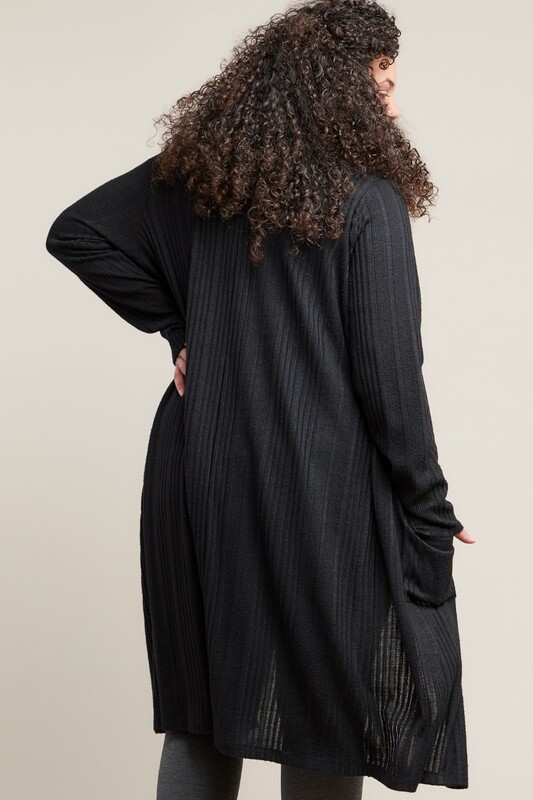 Those who loved the simplicity of our classic Collette cardigan will love the Eloise duster for its more dramatic length. Releasing in similar soft fabrics and lighter weights, you’ll find an Eloise that you’ll want to take with you everywhere! 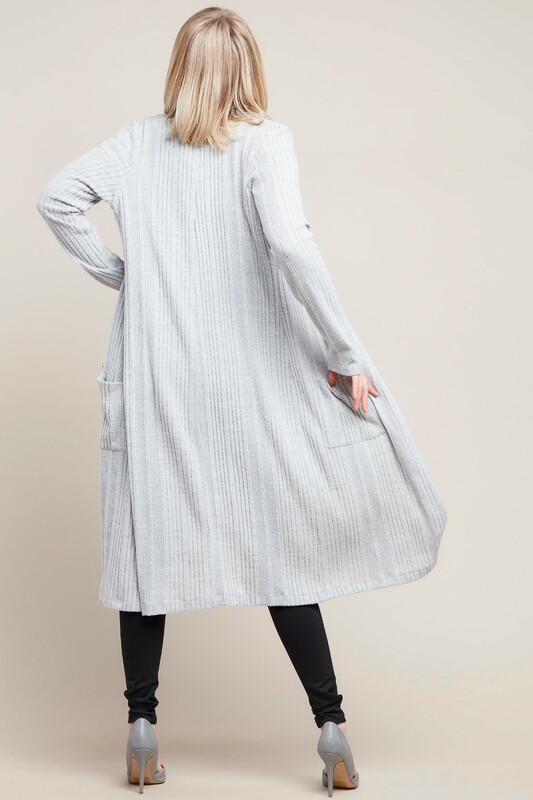 Not only does this duster make a great statement layer, it provides the right amount of cozy for the cooler Spring weather and lighter weights for the warmer months ahead. Pull over the Wythe and Met for more warmth around the office. Or add a little flare to your morning errand ensemble by wearing it over the Prince and Spring Street leggings. Many words like feisty, audacious, and sophisticated can describe the Eloise - making this duster cardigan a wardrobe staple. Fits like the Colette with a little extra room/length. Long hem, hits at mid-calf.